This stylish necklace and earrings set features a large silvertone cross. 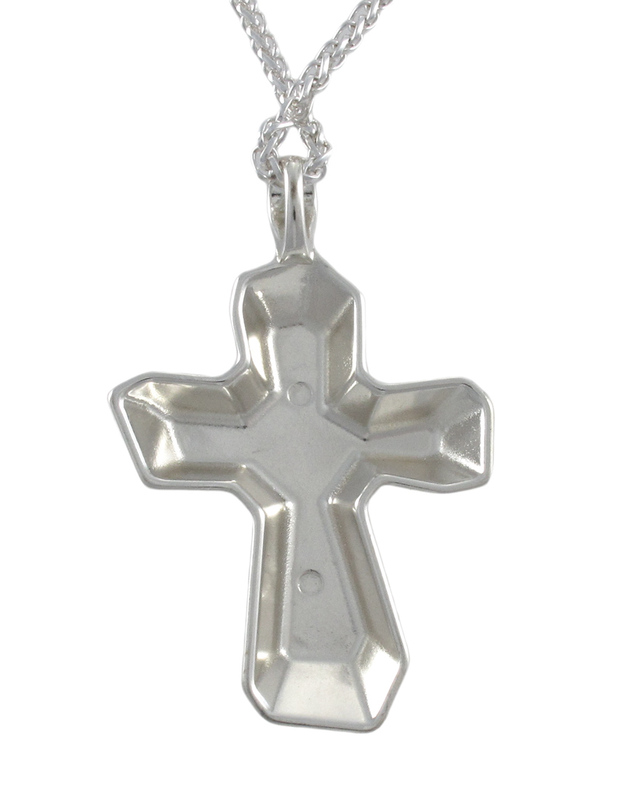 The pendant measures 2 1/2 inches tall, 2 inches wide, and hangs from an 18 inch long wheat chain. The chain has a 3 1/4 inch extender so you can vary the length of the necklace, and it fastens with a lobster claw clasp. The matching dangle earrings measure 1 inch long, 3/4 an inch wide, and have surgical steel ear wire hangers. This set makes a wonderful gift for a friend.